Open speed limit zones are being extended further in the Northern Territory. 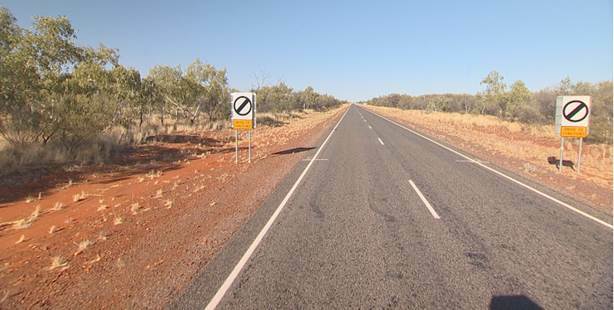 A new 60km section opened this week that will allow one continuous open speed limit zone of 336km on the Stuart Highway from north of Alice Springs to the Ali Curung rail overpass (excluding past road houses and through communities). The upgrade works cost $2.5 million. The sections of the Stuart Highway selected for upgrade works to become open speed limit zones were chosen because they represented the least risk and lowest crash statistics. A further $1 million was announced in Budget 2016 for the next phase of the open speed limits on a 17 kilometre stretch north of Ali Curung turnoff to Wycliffe Well. Upgrade works on the next section will start next month and includes clearing trees away from the edge of the highway, widening curves, upgrading the guardrails, stock fencing, and improving line marking, reflectors and signage. The Northern Territory Government spent $4.4 million on the initial trial for a 204 kilometre stretch of the Stuart Highway between Alice Springs and Barrow Creek, and on a further 72 kilometre stretch from Barrow Creek when the trial was extended. The traffic count data on these open speed limit sections shows there has been a small increase in driver speed, with 85% of drivers travelling between 133 and 139 kilometres an hour.